Michael Bonello, franchise owner of Remax Alliance (centre), holding the Best Agent in Transactions award on behalf of Jeff Debattista together with Jeff Buttigieg, Kevin Buttigieg, Frank Polzler, Walter Schneider and Michael Polzler. 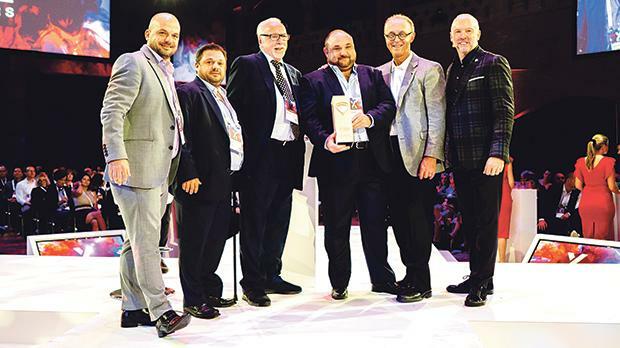 Multi-award-winning Remax Malta was presented with two prestigious awards at the Remax European Convention in Amsterdam last month. More than 75 Remax Malta affiliates attended the 10th anniversary Remax European Convention, held at the Beurs van Berlage Convention Centre. 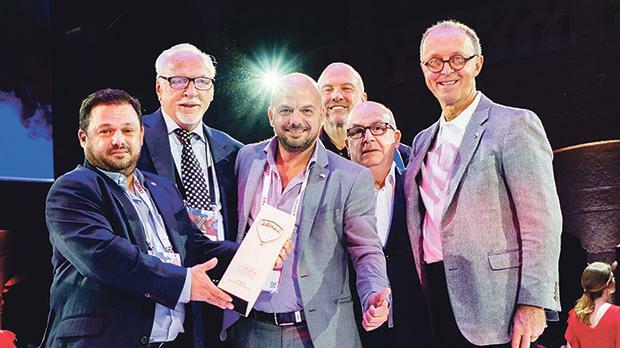 The founders of Remax Europe, Frank Polzler and Walter Schneider, together with CEO Michael Polzler, presented a total of 10 awards at the convention. Remax Malta won two of these awards, namely for Best Office in Europe for the Last 10 years in Transactions and for Best Agent in Europe in Transactions in the Past 10 years, which was presented to local agent Jeff Debattista. Receiving the Best Office in Europe Award (from left): Kevin Buttigieg, Frank Polzler, Jeffrey Buttigieg, Michael Polzler, Joseph Buttigieg and Walter Schneider. The 2018 convention celebrated the 10th anniversary of the European Conventions held by Remax. The event aimed to not only celebrate the many past achievements of the world’s fastest-growing real estate franchise, but also to exchange ideas with the best in the industry, build relationships and innovate for the future. With two full days of training and networking, the convention offered a unique learning experience for 1,200 real estate professionals from over 50 countries, with more than 80 educational sessions that covered a variety of real estate-specific topics including overcoming the odds, home staging, sealing your business, using videos in real estate, business planning, listing properties, online content creation, entrepreneurship, managing buyers, having a growth mindset and winning with millennials. Key note speakers at the convention included serial entrepreneur and founder of Close.io Steli Efti, social entrepreneur Taylor Conroy, Remax Europe CEO Michael Polzler and Walter Schneider, the co-founder of Remax Europe, Ontario-Atlantic and nine US states – which makes up the equivalent of 35 per cent of all Remax. Inspirational speaker Heather Mills also delivered her speech ‘Inspiration from Within: Overcoming the Odds’ in which she spoke of her story of survival and of defeating adversity to succeed in business. “Once again, the Remax European Convention was an incredible opportunity for our team, which provided unique insight into the real estate world that will continue to set the Remax brand apart. We are so proud to be part of it,” Mr Buttigieg said.